Cold sores. Information on the causes, symptoms and treatment of cold sores. Cold sores can be an irritating and embarrassing medical condition. It is estimated that they affect 20% of population of the UK and once contracted, the virus can remain dormant in our systems, making them a recurring problem. 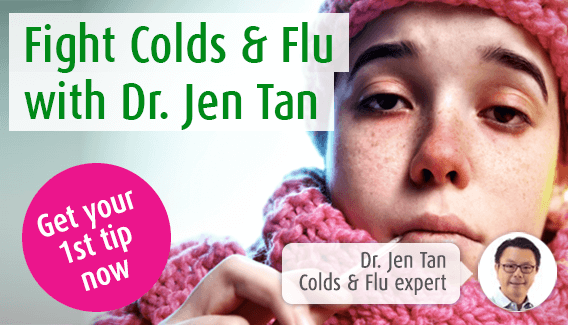 Here at A.Vogel Talks Cold Sores, our immune system expert Dr. Jen Tan discusses the causes and symptoms of cold sores as well as how they can be treated using natural remedies. If you've got a question you'd like to ask, you can use our Q&A service. Cold sores are painful, irritating, fluid filled blisters that occur around the lips. They affect approximately 1 in 5 people in the UK and those suffering from cold sores often find that they are a recurring, embarrassing problem. Cold sores are caused by the cold sore virus otherwise known as the Herpes Simplex Virus 1 or HSV-1. This virus is one of two herpes viruses – cold sores are sometimes referred to as herpes labialis (‘herpes of the lips’) or oral herpes. The other herpes virus, Herpes Simplex Virus 2 (HSV-2), is responsible for genital herpes commonly known simply as herpes. Although they belong to the same family, in general, HSV-1 and HSV-2 cause different problems. Cold sore symptoms tend to appear in a specific order of stages. Cold sores may appear singly (alone) or in groups of two or three. Any similar looking blister on other areas of the body will not usually be termed a cold sore. The key symptom of cold sores is pain or tenderness in the blister itself or in the skin around the blister. Sometimes cold sores lead to irritation and swelling of the gums. Read about the cold sore symptoms you can expect. Cold sores are a recurring problem and this is because the cold sore virus is difficult, if not impossible, to eradicate from the body. Typically, the virus enters the body when a person is younger and commonly during childhood. This initial infection does not lead to any symptoms and after entering the body, the virus tends to remain in your body for the rest of your life, existing in a dormant or sleeping state. However, certain situations encountered by the body can cause the virus to wake up. These are known as trigger factors and lead to a reactivation of the virus in the body. For instance, a cold sore can develop if your immune system is weakened because of stress, lack of sleep, or because it has to fight off viruses causing a cold or flu. For more information on trigger factors, go to our page on cold sore causes. A cold sore outbreak usually lasts between 5 and 21 days. Occasionally, the outbreak can be mild and short-lived – resolving after a couple of days. After the cold sore has healed, the virus becomes dormant again until another trigger is encountered. When this happens, the cold sore recurs. If your immune system has a tendency to be weak, or if you encounter cold sore triggers often, you may become prone to recurring cold sore outbreaks. Cold sores can resolve on their own without treatment. However, as outbreaks or attacks are often painful, inconvenient and embarrassing, many people suffering cold sores prefer to treat or better still, prevent them. There are several common home remedies which are thought to help with the treatment of cold sores, ranging from white spirit to raw garlic. However, many of these may be inconvenient, not to mention smelly, and there are other simpler treatments which you may find to be effective. Complementary treatments such as L-Lysine (an amino acid), vitamin C and bee-derived propolis based products have been used to treat the symptoms and prevent spread of the virus. Read more about the conventional and complementary cold sore treatments available. If you are feeling run-down, consider using herbs and supplements to help your immune system, such as Echinacea and vitamin C .
Avoid contact with those who have a low level of immunity such as new born babies, people suffering from illness or having treatment which lowers the strength of their immune response. These are rare, but it is important for anyone suffering from cold sores to be aware of them. If you notice any of the complications described above, seek the attention of a doctor or other qualified healthcare professional.